Careful not to burn yourself; these Amazon early Black Friday deals just keep getting hotter and hotter. 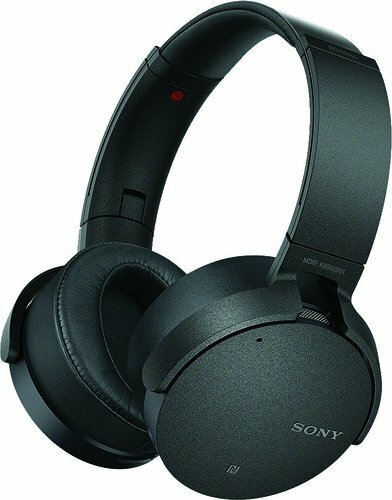 Today and today only: Sony XB950N1 Extra Bass Noise-Canceling Wireless Headphones are over half off. Yes — you read that right. These high-fidelity powerhouse headphones are currently reduced from their typical price of $249.99 all the way down to $113. That’s a 55 percent savings for those keeping score at home. These premium headphones are virtually a steal at 55 percent off — boasting Bluetooth connectivity, noise-canceling technology, and a broad frequency response of 20 to 20,000Hz that will make even the hipsterest of hipster audiophiles tip their cap. (As a hipster audiophile myself, I’m allowed to say that.) Beyond the typical headphone features, this pair of headphones can be controlled via a compatible app, allowing the user to tweak everything from bass/treble EQ to noise cancellation settings. These headphones hold a strong 4 out of 5 stars on Amazon and have been praised by customers for their audio quality and intuitive integration with the accompanying app. For 55 percent off, this one’s virtually a no-brainer. But act fast — this deal expires at 2:00 AM EST, tomorrow. Sony XB950N1 Extra Bass Noise Canceling Wireless Headphones, on sale for $113 — a 55 percent discount.